A little chilly for my liking but the sun was shining and it was a beautiful run on the towpath, my favorite place to bang out a long run. I switched it up this time. I almost always run south from the Canal Visitors Center when I run the towpath but for whatever reason, I decided to run North today. It was a nice change of scenery and I can’t wait until they finish construction so that the northern route goes all the way downtown. This first 20 miler, I just wanted to stay under an 11 minute average pace and attempt to get a negative split and that’s exactly what I did. My final average pace was 10’46” and I managed to finish the second half of my run just slightly faster than the first. Something that really helps me get a negative split for these longer runs is to listen to podcasts the first half of the run and music the second. That way, I can sort of just dial in and focus on a steady pace for the first half and can run to the beat of my favorite run tunes on the second. Today’s podcasting was a new discovery: the Rambling Runner podcast, which I’m now obsessed with. Basically interviews with all of my favorite insta-runners and some other just average runners. It’s not really the elites that are on this podcast and I think that’s why I love it. It’s real people, some of whom currently have or have had paces similar to mine: aka not very fast. It really helped me have a steady pace for that first half. At mile 10, I switched to some of my go-to run tunes and finished out that second half of my run. I even stopped to fill my water bottle and still had a negative split. I am almost always one of those people who thinks I wish I’d gone faster but overall, I’m really encouraged by this first 20 miler. I feel strong and capable and like I have a shot at a PR for the Cleveland Marathon. Something else that I mentioned in my Instagram post that I want to elaborate on here is the spiritual connection I feel when I’m running. It’s Easter. One of the most important religious holidays if you’re a Christian. For those of you who don’t know, I was raised Catholic. I went to Catholic schools most of my life and was heavily involved in ministry. But when I went to college, as many young adults do, I questioned my faith. I still am. I explored other religions and decided that overall, it was just more important for me to be a good human who does good things than it was to decide on a religion and go to church every Sunday or whatever day the religion calls for. So that’s been my main focus. But running these great distances is something like church for me. It makes me feel alive. It makes me feel insignificant and significant all at the same time. It’s a time when everything makes sense to me and also a time when I work through things in my head. So I don’t feel bad that I didn’t go to church on Easter Sunday. Running 20 miles is my church. The blue skies and the pounding of my feet, I don’t know how to explain it, but it’s definitely a spiritual thing for me. So happy Easter everyone. However you celebrated, I hope you had as good of an Easter as I did. 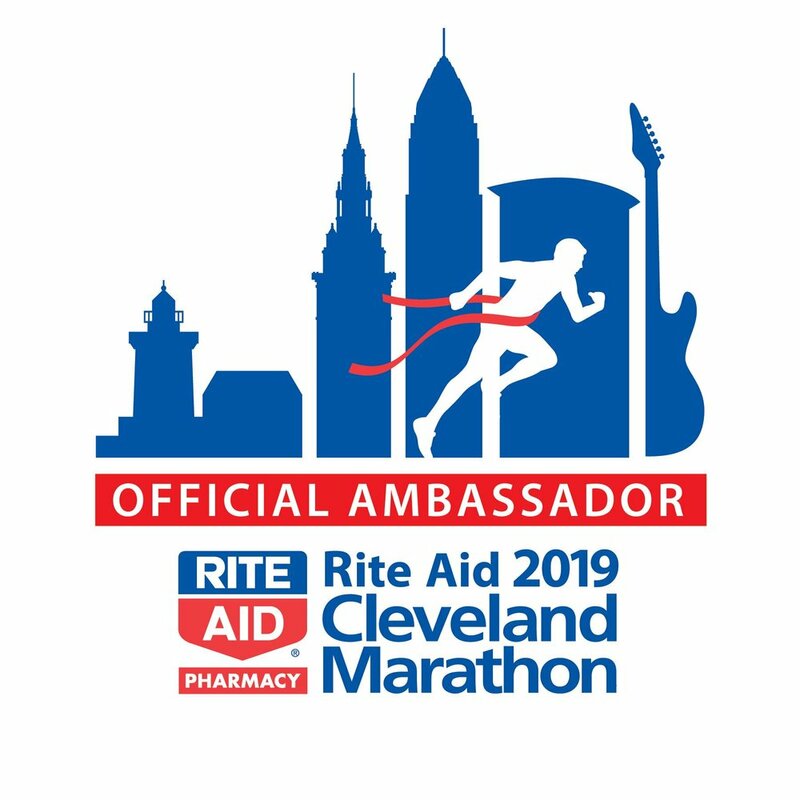 And don’t forget, if you still haven’t signed up for the Cleveland Marathon and want to, use my code: LBCLE10 for a discount!